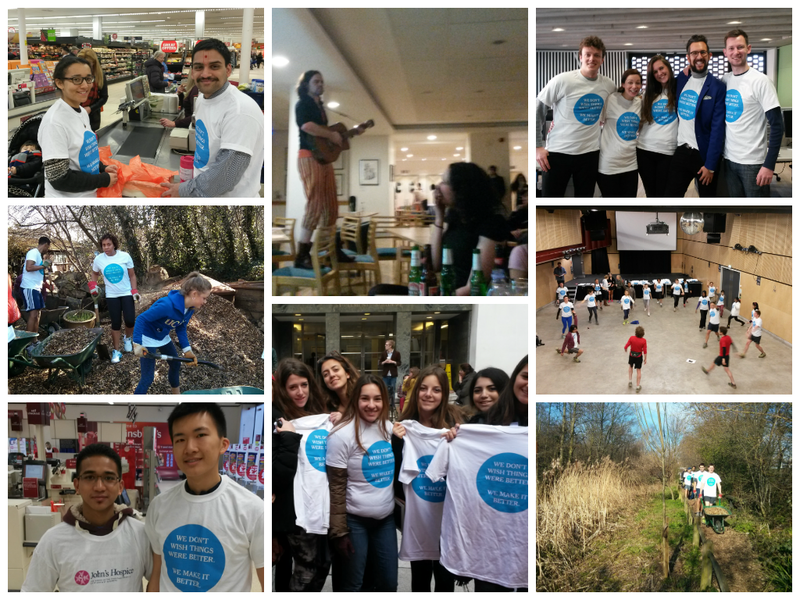 As a truly epic Student Volunteering Week 2014 draws to a close it’s hard not to feel proud of the difference that LSE students make in the communities we live in. Since Monday, LSE students have completed a run with GoodGym, helping out at Camley Street Natural Park whilst getting fit. They raised almost £350 through bag packing for St John’s Hospice and a huge amount of awareness for the brilliant work the charity does. And finally, they’ve helped stage an event with The Funding Network which raised over £5,000 and the promise of many hours of time to help three small, but truly inspirational, charities. I think by anyone’s standards this is impressive for a week’s work, but LSE students are giving up their time every single day of the year for causes they care about. The LSE Volunteer Centre recently did a poll of over 2,000 LSE students and found that 42% of them had completed voluntary work since they joined the School. Taken across LSE as a whole that means that amounts to almost 4,000 students; an army of volunteers! They mentor young people, fundraise for fantastic organisations, reach out to combat loneliness in elderly people, stand up for the oppressed, recycle food that would be wasted, run marathons, offer their business skills to small charities, coach football, relate to migrants and offer their services in many other ways to hundreds of charities in London, the UK and much further afield. They do this everyday, often without recognition, because they are passionate about making London, the UK and the world a better place. If that isn’t something to be proud of I don’t know what is. I hope you’ve all had a wonderful Student Volunteering Week, I’m already looking forward to next year. This post was originally poster for the London School of Economics. NextWhat’s it like to be a woman in Ghana?